A head on accident is defined as a type of motor vehicle collision that involved the front of a vehicle colliding with either a stationary object or another, oncoming vehicle. Except in the rarest of cases, head-on collisions are tragic and even horrendous. The combined speeds of the two vehicles cause an extraordinarily violent impact, leading to serious injuries and wrongful death. If you or someone you love has been hurt or killed in a head-on collision, the highly trained personal injury attorneys at GWC can help. As one of the largest law firms in Illinois, we have the resources and experience to help you obtain the full compensation available to you under the law. We have more than 30 years of handling auto accident cases in Illinois and while we know that we cannot totally undo the tragic events that you have experienced, we can however, help you obtain the fair and just compensation that will help you turn your situation around. For more information, contact us today by calling 1-312-464-1234 or reach us online via our 24/7 live chat or our “Free Case Evaluation” form. 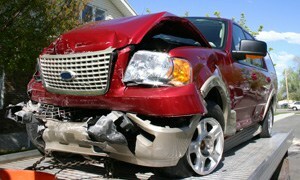 Auto accident litigation can be a confusing, complicated process, with an aggressive insurance company as an opponent. When it comes to going against some of the top insurance companies in the country in your case, bigger really is better. At the law offices of Goldberg Weisman Cairo, we have more than 38 attorneys and we regularly collaborate on our cases. The benefit of this is more comprehensive coverage of your case, as well as greater access to the lawyers that are handling your legal matters. We maintain exceptional client service and communication and proudly keep our clients updated with the latest developments in their case. If you have been involved and injured in a head on accident that was caused by another motorist, call us today at 1-312-464-1234 and speak to one of our lawyers about the merits of your claim. We handle personal injury and wrongful death for clients and their families throughout Chicagoland and Illinois and are ready to help fight for the justice that you deserve.